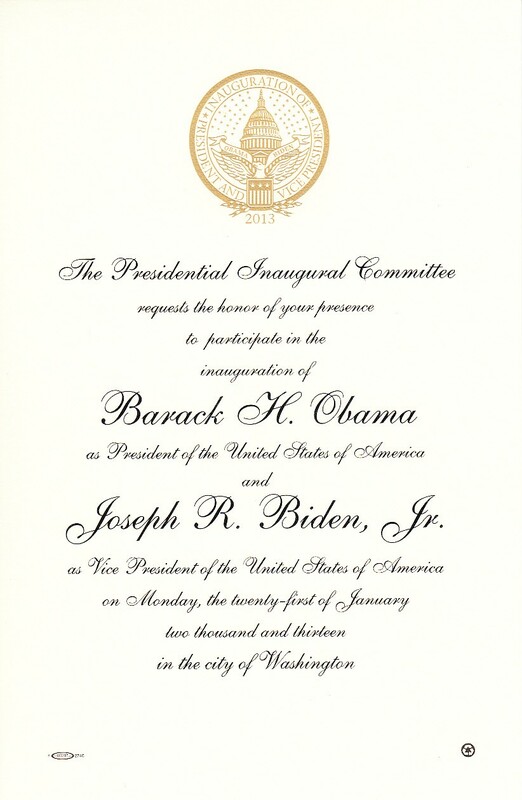 5 1/2 by 8 1/2 inch commemorative invitation to the Barack Obama January 21, 2013 inauguration ceremony in Washington D.C. 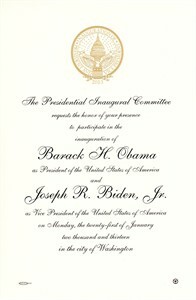 Produced on heavy card stock with embossed printing. This was issued as a souvenir and was not valid for admission. MINT. ONLY ONE AVAILABLE FOR SALE.